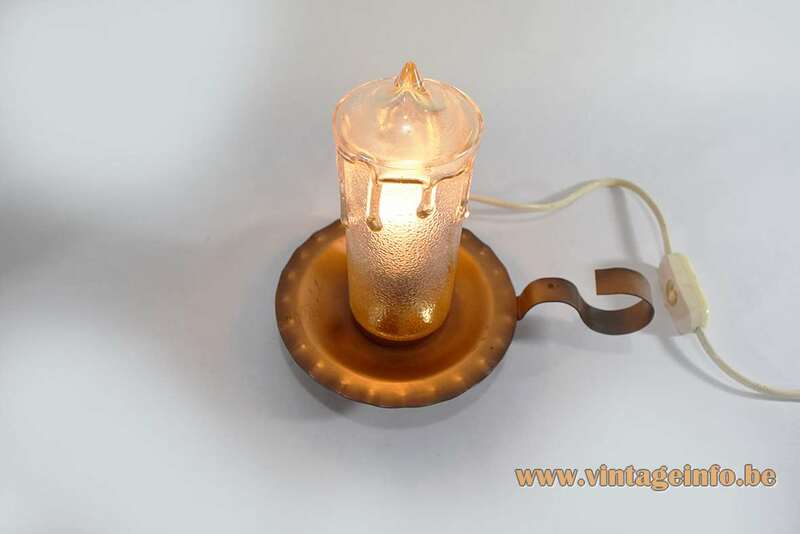 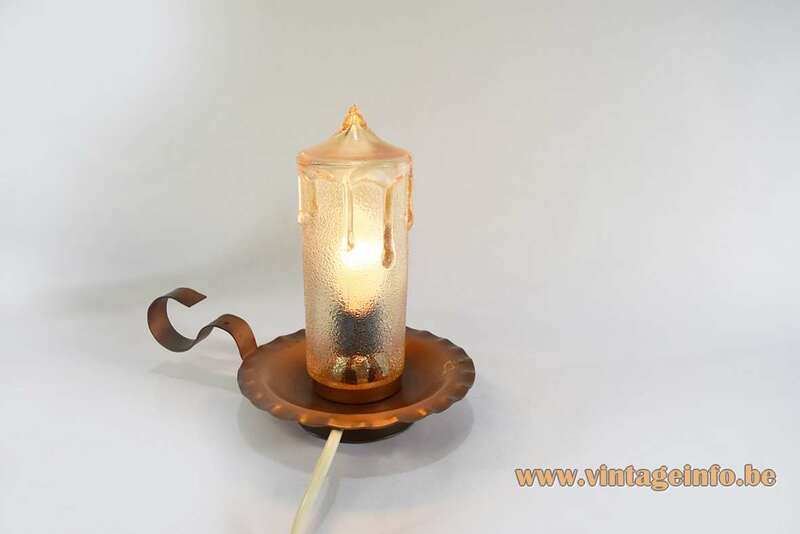 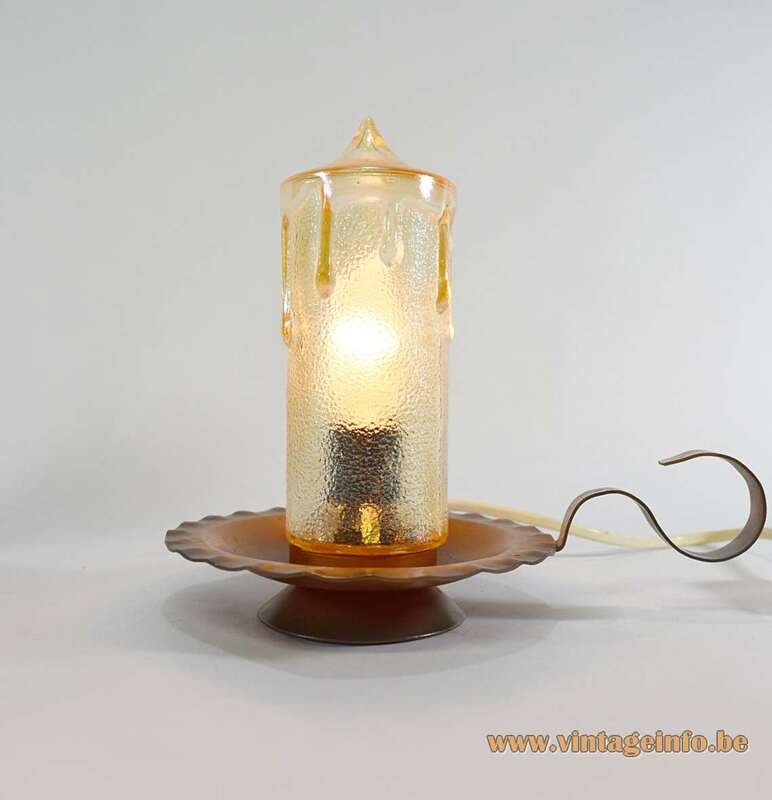 Materials: Copper, faux dripping candle yellowish embossed clear glass, Bakelite socket. 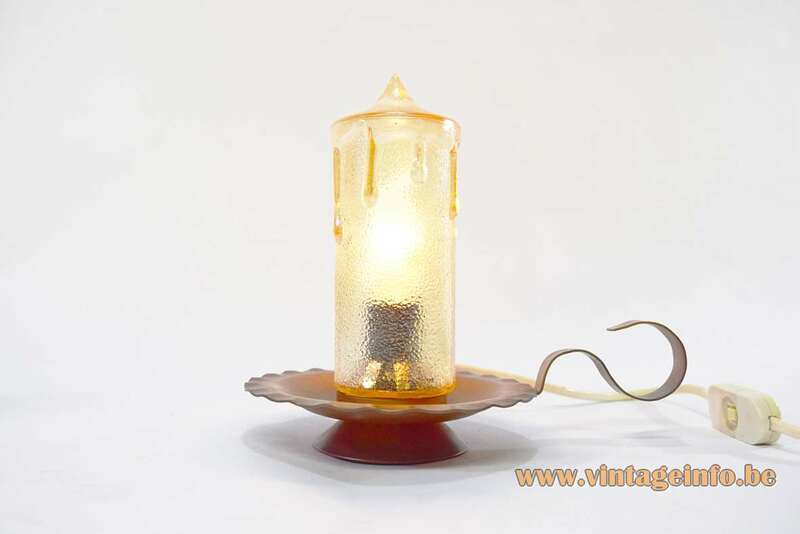 All the electric parts are made by VLM Components from Italy in the 1970s. 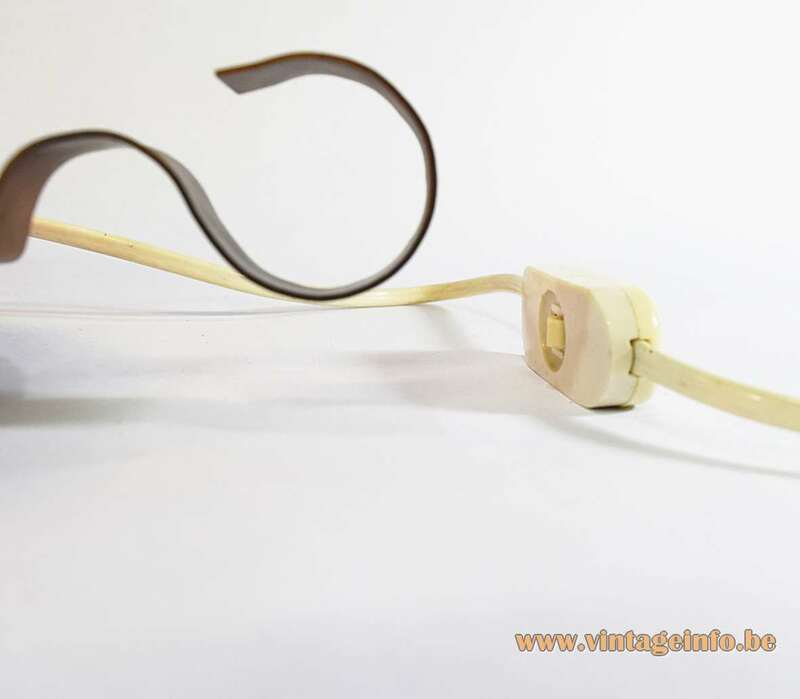 VLM Components was founded in 1945 in Buccinasco, a small village near Milan, Italy. 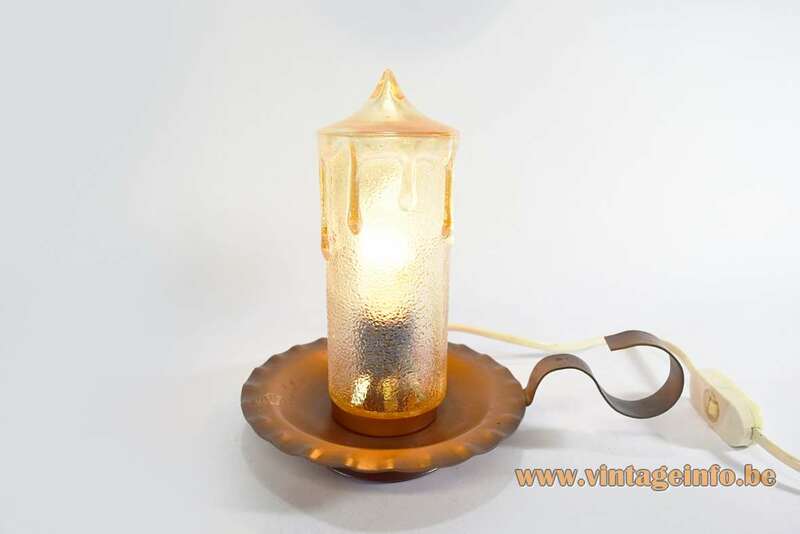 VLM is part of the Relco Group, founded in 1967. The model 450 switch is designed in 1968 by Achille Castiglioni.